“THOUGHT YOU MIGHT ENJOY THIS PICTURE OF YOUR DESIGNS SURROUNDED BY KONA BAY KOI FISH. 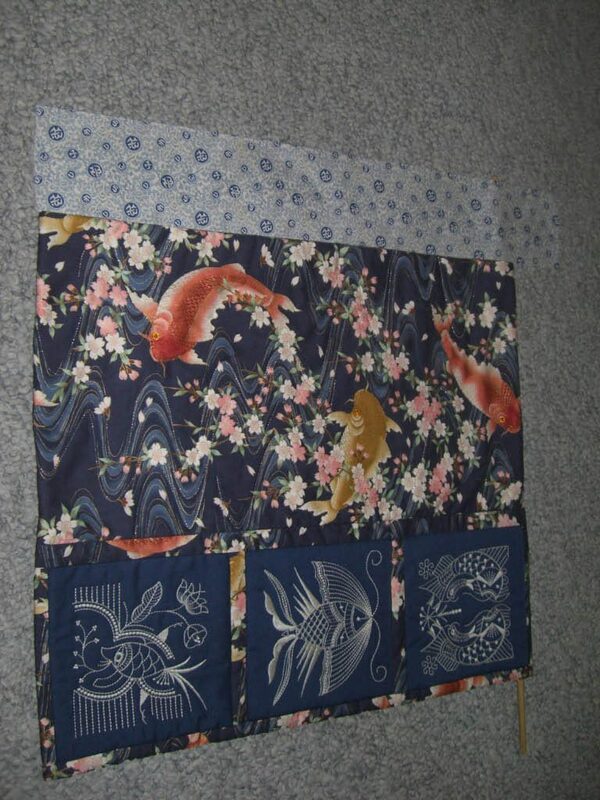 THE BLUE CHINESE COIN FABRIC WAS USED ON THE BACK. THE PIECE WAS QUILTED WITH METALLIC THREAD AND RHINESTONES WERE ADDED FOR THE EYES. I LOVE YOUR PATTERNS AND USE THEM OFTEN.